Does your New Years resolution list resemble the above? 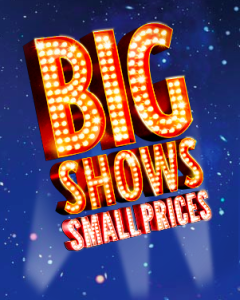 Hit two birds with one stone by making the most of the excellent Get Into London Theatre scheme which, between 1 January and 13 February 2014, offers theatre tickets to over 45 top London shows for £10, £15, £25, £35 or £40. When you consider that most stall seats in the West End usually go for £60+, that’s a purchase even your guilt-inducing resolution list can forgive. There are no sneaky booking or postage fees either. Booking opens at 10am on Tuesday 10 December and it’s likely to be a bun fight for the best seats at the best shows. Our advice is to take a look at what's available (Billy Elliot, The Lion King, Spamalot, The Phantom of the Opera, Swan Lake — really — we’re spoilt for choice), pick your favourites and have a few dates in mind so that if your first choice isn’t available, you can move straight onto the next. Top tip: register online before booking opens to save time on the day. Take a look at the price guide to see what’s available. Bookings can be made from 10am on Tuesday 10 December via the website or by calling the ticket hotline on 0844 581 5050.